Source Consulting Group believes that personal information you may provide to us via this website is to be treated as strictly confidential. Our reputation for honesty and integrity depend upon the most stringent protection of your information. Toward that end, you have our explicit commitment to your privacy. Any information you submit to this website is done so voluntarily on your part. This is done by submitting via various forms found throughout the site, sending an email to Source Consulting Group, or visiting a ”Client Area”, which may require a User Name and Password. 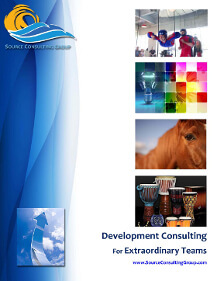 Source Consulting Group is the sole holder the information you provide. We shall not sell, distribute or otherwise disseminate the information you provide us, period. Source Consulting Group reserves the right to use the information you provide for our own internal purposes. These may include but are not limited to informational updates on services and products of which we wish to make you aware, tracking traffic and making adjustments to our website based on that information, etc. As it relates to marketing endeavors, you will always maintain the choice of responding to these potentially irritating and time-consuming communications by replying with “Unsubscribe” in the Subject line and, voila! You are done with the intrusion. We will make every effort to ensure that you are not bothered by us again. Should we fail you, heaven forbid, please pick up the telephone and call us at 512.293.2400 and ask us to stop badgering you! Our aim is unmatched customer service. We will continually strive to meet your requests in a timely, professional, and even friendly fashion. The Internet by its very nature is subject to intrusive and unauthorized “hacking” over which neither we nor anyone for that matter, has any control. Though unlikely, we do not pretend that someone out there in Cyberspace cannot intercept your email to us and use the information in a way out of our immediate control. This is a reality of using the Internet to do business. We do not wish to alarm you, even though the concept is alarming, but rather, to educate you (not that you do not already know!). Here’s to a successful Internet experience!